When Vegetarian TravelingMom Judy Antell would bring her young children to Washington, DC, they had to balance museum going with running around. 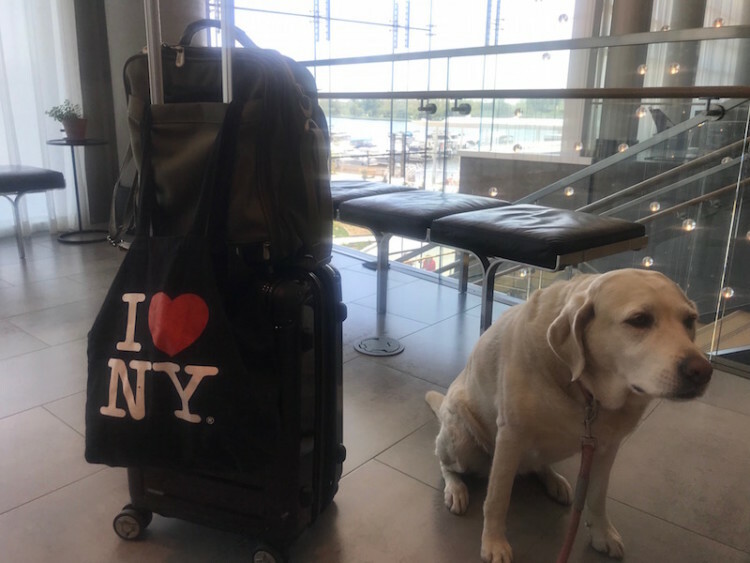 Now that her kids are older and she brings the dog, she has to do the same thing, plus add finding a dog friendly hotel. Read on to learn how it can be done. The purpose of the trip: visit our middle daughter. And see the sights. 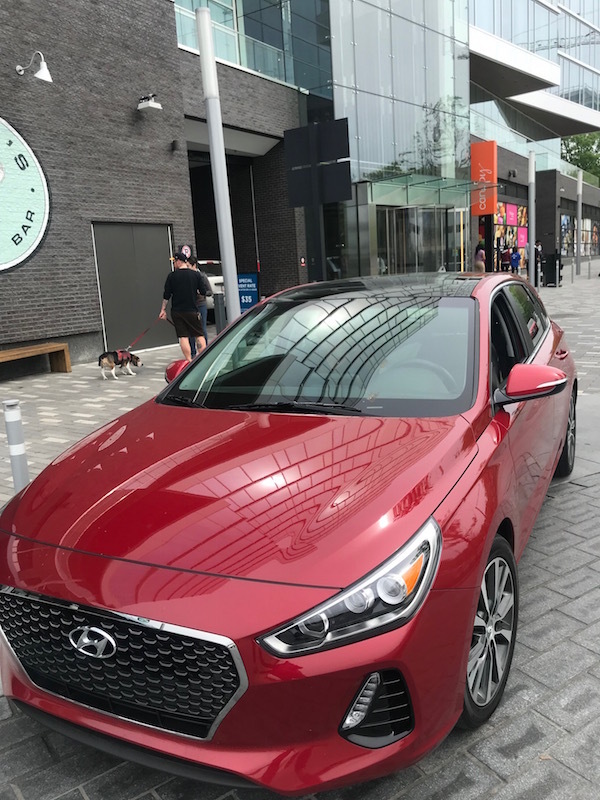 We drove a roomy Hyundai Elantra so we could fill the car with stuff for her impending move out west. Eating out with the dog is easy in warm weather. 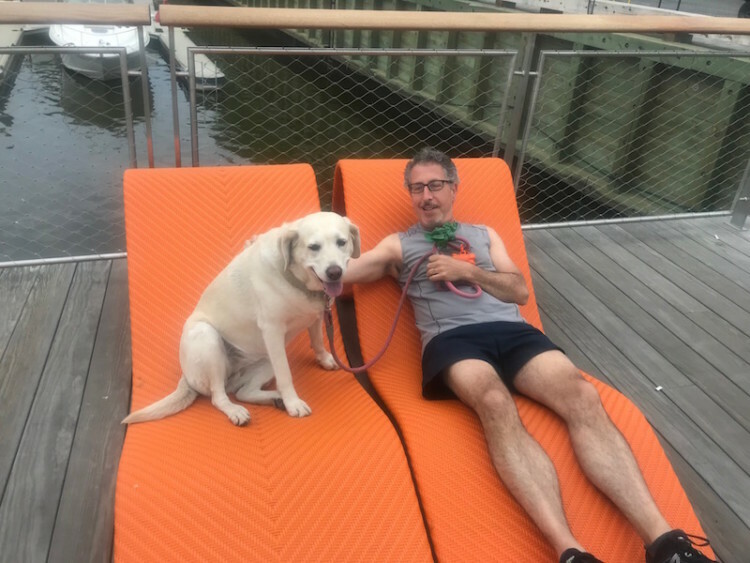 Seemingly every restaurant in DC had a large outdoor area where dogs were welcomed. But we didn’t have to bring Karat, our dog, everywhere. The hotel was cool with her hanging out in the room. 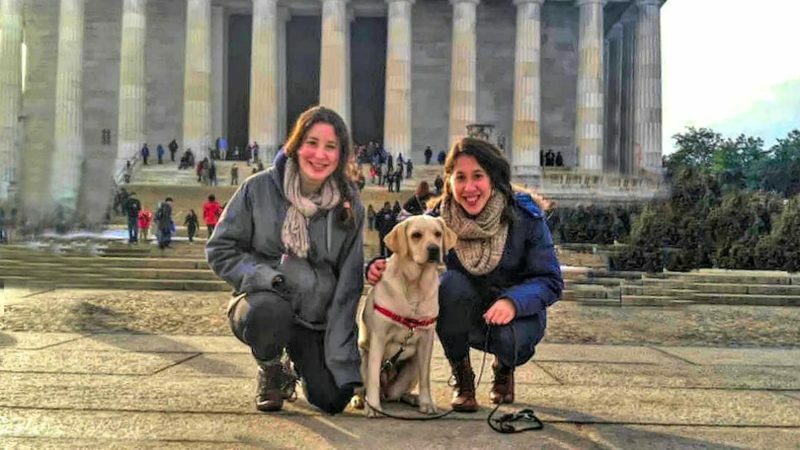 Going to the Washington Monument and Lincoln Memorial is easy with a dog. Even better, check out the Franklin Delano Roosevelt Memorial. His statue includes his dog, Fala. It was actually too hot for Karat during the day, but we have taken her there in colder weather. We left Karat in our room when we went to the National Museum of African American History and Culture. We saw exhibits about sports, music and civil rights. This fascinating museum requires the better part of a day, or multiple visits, to see everything. 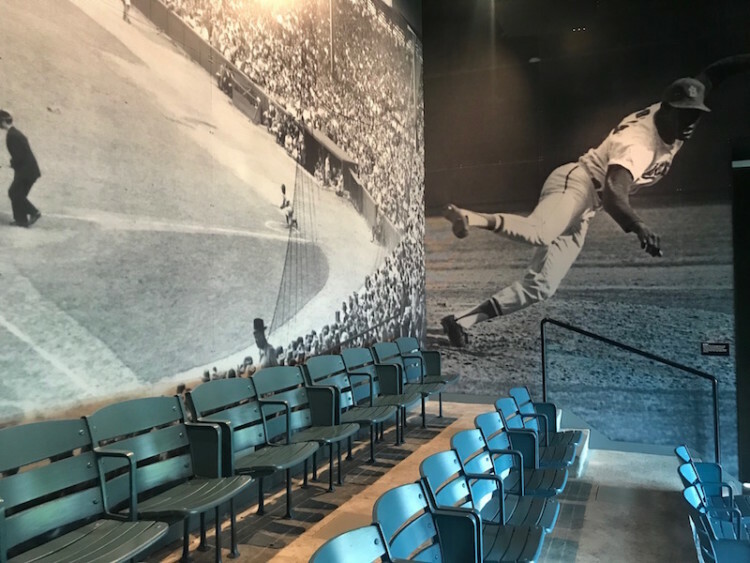 TravelingMom tip: Although reservations for the free tickets to the museum are sold out well in advance, you can score same day tickets on rainy days. Hope for just a passing shower and pop over to the museum. I hadn’t been to the National Portrait Gallery in years, but felt I needed to see the new Obama paintings. There was also an exhibit of Diane Arbus photographs. 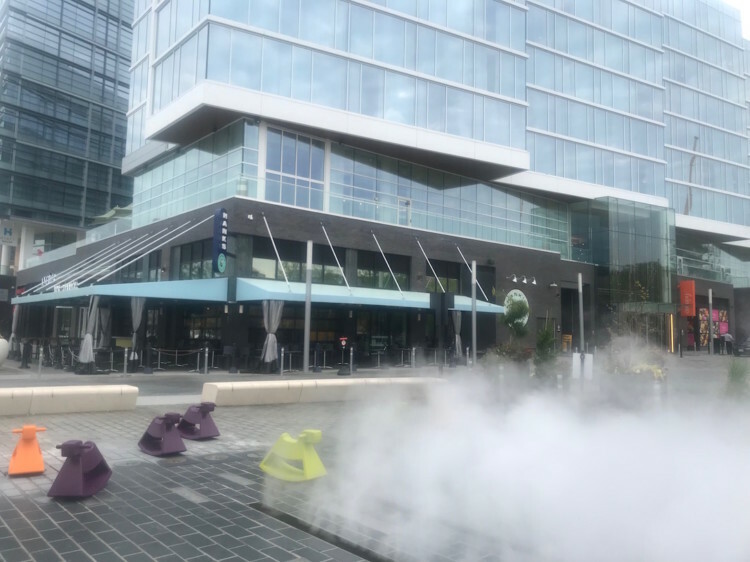 The new Canopy by Hilton, in the redeveloped District Wharf, was the ideal dog friendly hotel. 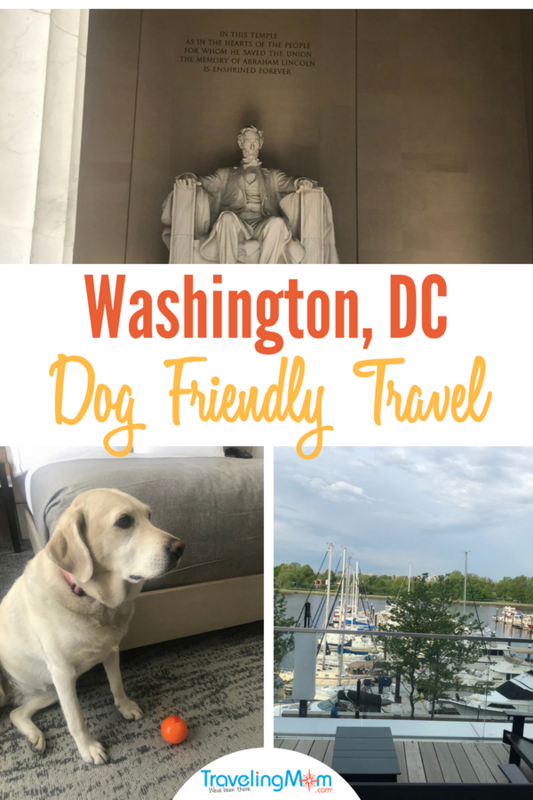 It wasn’t just the swag bag we got at check in, with a bouncy ball, rubber bone, poop bags and map of dog friendly Washington, DC suggestions – though that certainly helped. The staff, from the valet attendants to housekeepers, all paused (paws?) in their work to greet our dog. At the front desk, a bowl of treats was a big hit with Karat. Best of all, we got a “woof’ tag to hang from a hook next to our room door. This alerted housekeeping that Karat was inside. And it also signaled that we were free to leave her in the room when we went out. Some putative ‘dog friendly’ hotels don’t let you leave the dog alone in the room, which limits where you can eat or sight see. The area around the hotel was also incredibly welcoming. Right in front of the hotel, a small grassy park attracted both canine hotel guests and local dogs. Spray fountains right next to it drew both little kids and dogs looking to cool off. District Wharf has a free boat shuttle to a huge park. We didn’t take Karat because we didn’t know how she’d react to a boat. But we rode the shuttle with other dogs. Every restaurant in District Wharf takes advantage of the waterfront location, with tons of outdoor seating. We saw many dogs sitting by their owners’ feet. We had excellent Asian food with Karat at Kaliwa. There were Korean, Thai and Filipino sections, with many vegetarian choices. Though if our dog were ordering, she would go for all the meat. The Canopy by Hilton includes a deluxe breakfast with options for even the pickiest eaters. The buffet included fresh juices and a smoothie of the day. There was fruit, yogurt and cereal. Then there was warm breakfast flatbread, with veggies. One day, breakfast included fresh local doughnuts. The next day, the spread included pastries. There was also cheese, bread and peanut butter. Sadly, the only egg dish had meat, but there were more than enough vegetarian choices. If you are in a hurry, you can get a breakfast of yogurt, fruit and juice delivered. Rooms all have mini fridges and Nespresso coffee makers. Every room has a reusable glass bottle. Guests are encouraged to refill bottles with filtered tap water on each floor. The hotel also has a dozen bikes you can borrow, for free, which cuts down on driving around town. Though we left the car in the hotel’s garage, we got a great feel for it on the drive to and from DC. Note: Hyundai loaned us the Elantra for the trip, and the Canopy by Hilton offered me a complimentary stay. Opinions are my own, but Karat was undeniably swayed by the dog treats and bouncy ball. Category: East Coast Destinations, Family Vacation Destinations, Family Vacations, Family Vacations in Washington DC, Washington D.C.